Right Multipurpose Joomla Template is presenting you some amazing features, outlooks, animations, plugins and lots of other unique type integrations. Right template is truly the right choice for those who are planning to make their site with some exceptional outlooks. Right has been made to facilitate the users to use it for personal portfolio, blog, businesses, offices etc. After several months coding for new Joomla! 3 template framework, now we're glad to announce the availability of the July Joomla template release - OT Smartsolution. This Joomla Template is perfect for you business start-up , company presentation or software introduction website. 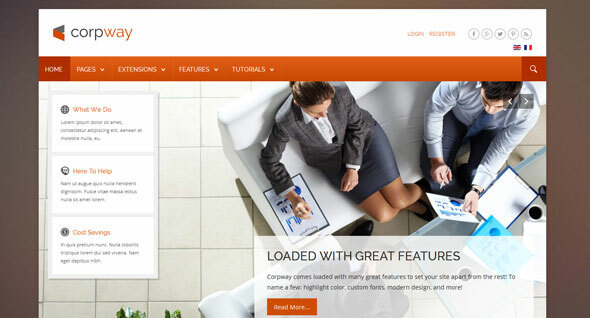 JM Forma is a multi-purpose professional Joomla 2.5 & Joomla 3 template. The template is fully loaded with extensions and features to help you create a stunning and slick creative, photography, fashion or portfolio website. Using the Revolution Slideshow you can easily create stunning animated slideshows. The template also boasts parallex modules, 2 header styles, animated scrolling animations, 7 module styles, plus much more to give the template a slick creative edge.